Family Law – The Elkins Law Firm, P.L. Ms. Elkins has been practicing family law for over 16 years. Prior to that time, she clerked for a Family Law Judge in Orange County, Florida. She recognizes that family law cases are not just a legal problem; attached to each case is a client in need of assistance in dealing with the people most important in their life. Family law cases of any type can be an emotional and challenging process. We are here to assist you with the changes that are occurring in your life with Integrity, Compassion and Professionalism. 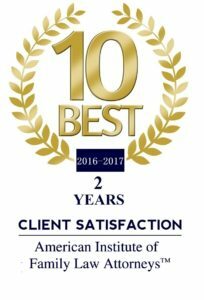 Our firm handles cases in every area of Family Law including Divorce, Petitions to Establish Paternity, Modifications, Enforcement, Relocations, Parenting Plans, Children’s/Child Support issues, Department of Revenue Child Support Enforcement Defense, Alimony, High Asset and High Conflict Divorces, as well as Collaborative Divorces, and Prenuptial Agreements. If you are contemplating divorce, The Elkins Law Firm can guide you through the divorce process with experience and understanding. 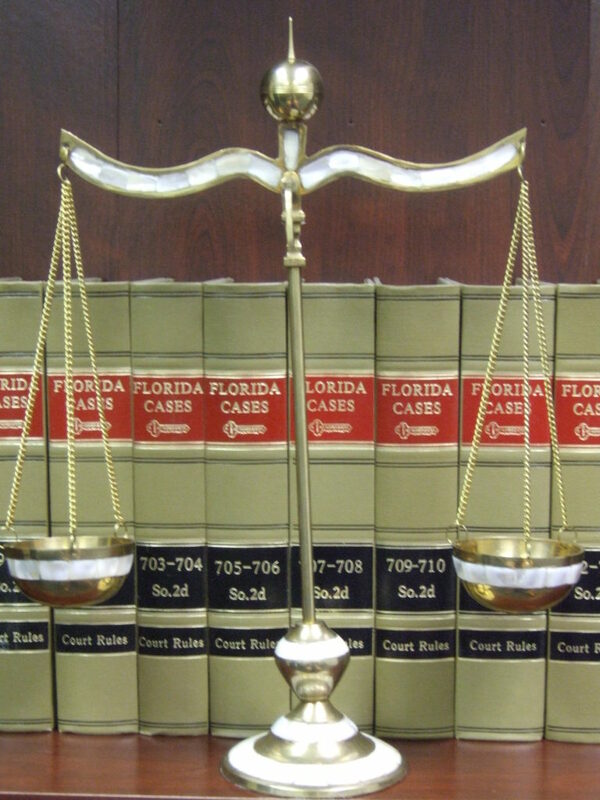 The Elkins law Firm has represented numerous clients over more than sixteen years all throughout the State of Florida in their divorce proceedings. We will consult with you about each step along the way in your case. We are always accessible and will make sure you will always know the status of your divorce proceeding. It takes two to get married but only one to get divorced. Florida is a pure no fault state, which means you do not need consent from your spouse to get divorced. You need only to state a legal reason to get divorced. Under Florida law, there are two legal grounds for divorce. The first is that one party has been declared legally incompetent for more than three consecutive years preceding the petition for dissolution of marriage. The second is that the marriage is considered “irretrievably broken.” This reason is far more common. “Irretrievably broken” means that there are disputes such that a complete marital breakdown has occurred and there is nothing that a court can do to reconcile the marriage between the parties. In Florida, a divorce is referred to as a “dissolution of marriage.” So long as one party has resided in the State of Florida for at least six (6) months prior to the filing, and the marriage is irretrievably broken, you can obtain a divorce in Florida. In order to initiate a divorce proceeding, a petition for dissolution of marriage is filed with the circuit court in the county where you and your spouse last lived together as a married couple, or in a county where either party presently resides. Either spouse can file the petition for dissolution of marriage. The petition contains the filing party’s allegations that the marriage is irretrievably broken, as well as other requirements establishing the existence of the marriage and the residence of the parties. There are two types of dissolutions of marriage: Contested and Uncontested. Uncontested divorce means you and your spouse agree upon all of the settlement terms of your divorce. Contested divorce means you and your spouse are in disagreement and unable to settle without litigation. If your divorce is contested, your spouse must file an answer to your petition within 20 days of being served, addressing the matters set forth in the initial petition. Your spouse may also include in the answer, a counter-petition for dissolution of marriage to raise any additional issues for the court to address, and you must file your answer to the counter-petition within 20 days of receipt of the counter-petition. The discovery process will begin and various financial documentation must be exchanged. In a contested divorce, litigation may become necessary for the court to address all issues raised in the petition and counter-petition. Alternatives such as mediation and/or negotiating a marital settlement agreement through counsel can help resolve these issues outside of court and help reduce costs. If you cannot agree on all issues, a final hearing or trial is required. Each party will present evidence and testimony to the judge during the final hearing, and then the judge makes the final decision on the contested issues. If you have been served with a petition for dissolution of marriage or are contemplating filing for divorce, contact The Elkins Law Firm by telephone at 407-644-5117 to schedule a consultation. Did you know that if you are not married to the woman that gives birth to your child you are in need of a Petition to Establish Paternity to obtain any timesharing rights with the child? The State of Florida gives virtually no rights to a father who is not married to his child’s mother at the time of birth. Protect yourself! Even if you know that the child is biologically yours, you still need a Petition to Establish Paternity to set up your Parenting Plan and properly calculate child support. The signing of a birth certificate does not establish the rights of a father. Even if you have signed the birth certificate as the Father you still must file a Petition to Establish Paternity in order to establish parental rights as the Father. To Establish paternity you can file a Petition to Determine Paternity or a Petition to Establish Paternity with the Court. In order to file an action in the State of Florida, the Petitioner must be a resident of the State of Florida for at least 6 months prior to filing the Petition. In the Petition you will request that paternity be established by the Court and that the Court issue a ruling as to child support, health and medical insurance, time-sharing, a parenting plan, tax deduction and all other child related issues pursuant to Florida Law. You do not have to take a DNA test in order to file this Petition, although it is highly recommended. If a Father does not establish paternity, remember that the Mother can still do so. The Mother has the right to file a Petition to Establish Paternity so that she may collect child support from the father. The father’s obligations do not cease to exist just because the father failed to act. The mother is not bound to a certain timeframe in which she has to file the petition, as long as the child is a minor. If a Petition is filed, then the mother has the right to request prior child support going back 24 months from the date the Petition was filed. If you have been served with a Petition to Establish Paternity or are contemplating filing a Petition to Establish Paternity, contact The Elkins Law Firm by telephone at 407-644-5117 to schedule a consultation. Life changes and the Final Judgment that was entered in your case may not be working now the way that it once did. Sometimes after the entry of the Final Judgment, circumstances change for the parties in their jobs, home life, or in the lives of the children. Such changes may require modifying, enforcing, or setting aside final judgments, parenting plans or marital settlement agreements. If your alimony payments or child support payments are insufficient, you should seek modification through the courts. If your former spouse has not complied with the terms of your marital settlement agreement or parenting plan, you should also seek enforcement of such agreements with the courts. Or, if you were divorced in a different state or country and want to modify and/or enforce the final judgment in Florida, you will need to domesticate the judgment through the Florida courts. The Elkins Law firm has over 16 years experience in modifying final judgments, parenting plans, and marital settlement agreements. 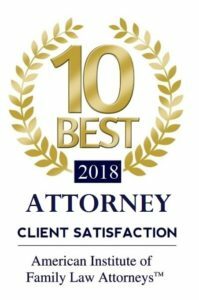 If you are in need of a modification, or if you were served with a Petition for Modification, contact The Elkins Law Firm by telephone at 407-644-5117 to schedule a consultation. When the family unit separates through divorce it is not uncommon for one of the parties to eventually decide that he or she wants to relocated to a different city, or sometimes to a different state entirely. This creates a serious legal issue as to the different time-sharing rights of the parents and may require the need for legal counsel. Relocation may arise for a variety of reasons. Perhaps one of the parents decides to move closer to other family members, such as parents or siblings, or remarries and their new spouse lives out of state or in a different city. Alternatively, a parent may receive a job offer in another location that they believe can significantly improve his or her economic well-being, as well as improve the quality of life for his or her children. Perhaps one of the parents has remarried and the new family unit is forced to move due to employment opportunities. Often, a divorce decree, final judgment of paternity, or a parenting plan may address the matter of relocation directly. However, if these matters are not addressed ahead of time, it is critical that parents be aware of the laws that govern relocation. Florida Law defines relocation as when a parent changes their location from at least 50 miles away from their residence for at least 60 consecutive days. If that is going to occur then the relocating parent must either obtain written consent and permission from the other parent, or file a Petition to Relocate. Relocation Petitions can become complicated and it is advisable to retain the services of an experienced family law attorney to prepare the necessary papers, to make sure that all legal requirements are met and to present the request in a manner that is likely to meet the court’s approval. The relocating parent, in order to get any proposed agreement approved, must file a Notice of Intent to Relocate that meets stringent requirements, and it must be sent to all parties who have custodial or visitation rights. In addition, the relocating parent must present the court with reasons why the court should approve the relocation petition. Once the appropriate papers have been filed correctly and all other procedural requirements have been completed, any parties objecting to the relocation are required to respond. Should no objection be filed within a specified time frame, the court can approve a plan that complies with all legal requirements and authorize the relocation. It is important to note that the failure of any relocating parent to comply with the law in all particulars can have grave consequences. If they proceed to relocate without obtaining an agreement approved by the other parties or by the family court, they may be subject to contempt, being compelled to return the child, and liability for certain fees and costs. In addition, the relocating parent’s behavior in ignoring the law and the rights of others can become a determining factor in any subsequent action taken by the court in determining whether the parent will be allowed to relocate with the minor child. A parent or other party objecting to a relocation petition must respond within a fixed time frame, and the objection must state the reasons for objecting to the relocation. If the party seeking relocation has failed to comply with the law, the objecting party may be able to obtain a temporary restraining order preventing the relocating parent from moving with the child or children. Relocation issues can become very involved, and it is always advisable in such a sensitive matter to hire a qualified attorney to make sure your interests are competently represented. If you need help with a relocation issue contact The Elkins Law Firm by telephone at 407-644-5117 to schedule a consultation. Department of Revenue hearings only care about child support and are not equipped to determine timesharing issues. Without the determination of timesharing, fathers are paying too much in child support because the Department of Revenue calculations are not taking the father’s overnights into account. Know your rights! Have a lawyer with you at your Department of Revenue hearing! If you have been served with a Department of Revenue Child Support action contact The Elkins Law Firm by telephone at 407-644-5117 to schedule a consultation.